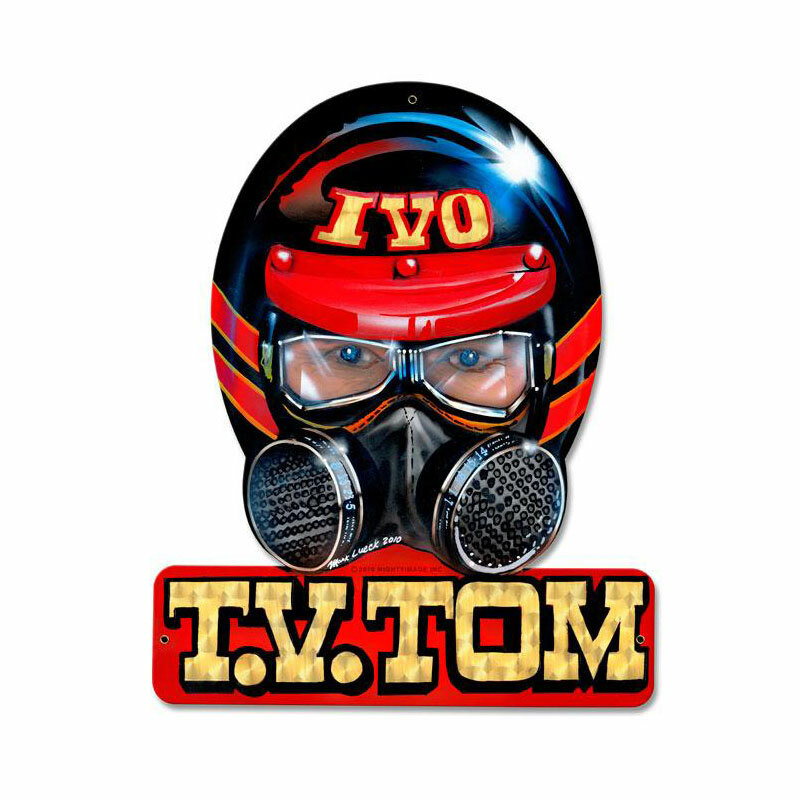 Explosive colors and a determined look highlight this head shot of former kid TV star Tommy Ivo, in a very old school nitro helmet, complete with goggles. and Resperator, as well. 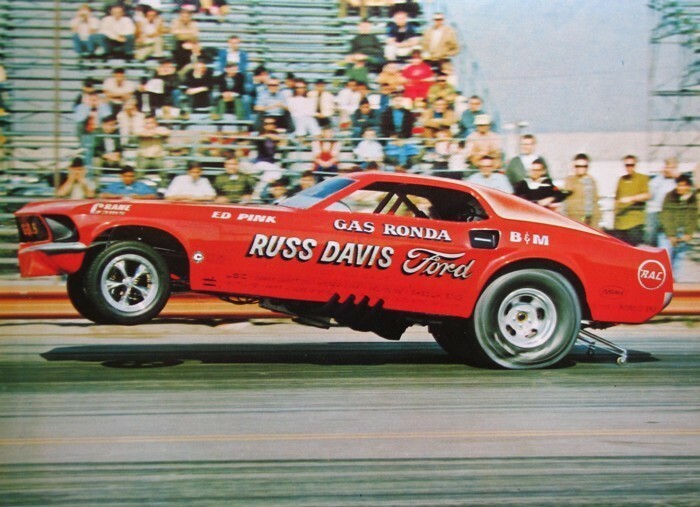 One of the early legends of drag racing.